Crunchyroll - Cooking With Anime: Golden Wind and That Time I Got Reincarnated As A Slime New Year's Cocktails! Cooking With Anime: Golden Wind and That Time I Got Reincarnated As A Slime New Year's Cocktails! Need a drink to ring in the new year? One question: Classy or flashy? What a year 2018 has been, amirite? I mean, we had the Olympic Winter Games this year. Black Panther came out this year. I travelled to Japan, Indonesia, and Australia (!!!). I wrote a book (!!!!!). I made MERCH (!!!!!!!!!!!!) (sorta). I got to meet bunches of you guys at Fanime and Crunchyroll Expo, gave some panels, cosplayed as Marie Antoinette from Rose of Versailles, and put on a five-course anime themed dinner where I got to meet lots of cool people! I don't know about you, but I've been BUSY this year. What's more impressive than that are all the fantastic anime we've gotten to watch this year. We've received the gifts of Banana Fish, Mo Dao Zu Shi, Laid-Back Camp, MEGALOBOX, Rascal Does Not Dream of Bunny Senpai and MORE! Seriously, those were just some highlights for me, but we've had so much great stuff come out this year; I can't wait for the Anime Awards to recap the entire affair. Until then, we'll have to settle for ringing in the new year with some drinks themed after top shows of 2018. 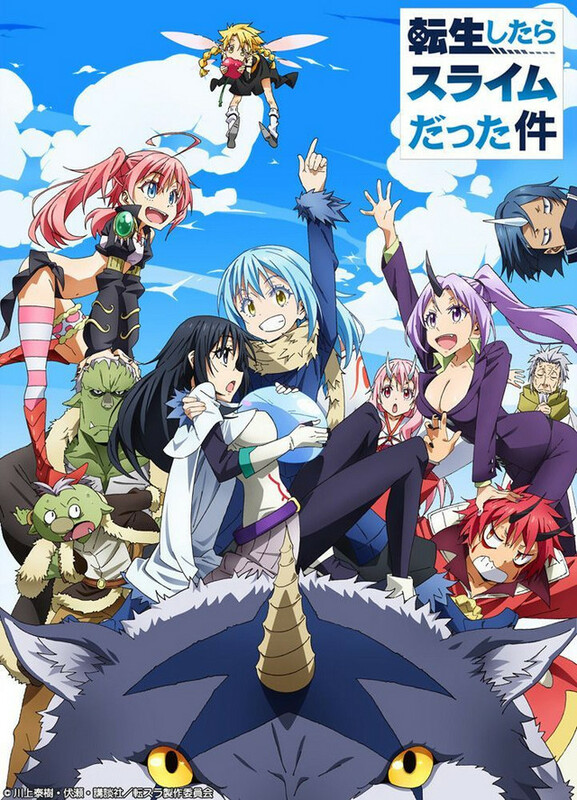 And what better way to do that than by honoring perhaps two of the best shows this year: Jojo's Bizarre Adventure: Golden Wind and That Time I Got Reincarnated as a Slime. Jojo's Bizarre Adventure: Golden Wind carries on the story of the longtime fued between Jonathan Joestar (and his family) and Dio Brando (and HIS family) by following Dio's son, Giorno, on his quest to become a mob boss. The show is both hype and hilarious. It's colorful, melodramatic, but never fails to carry a certain classy flare with every muscle flex. 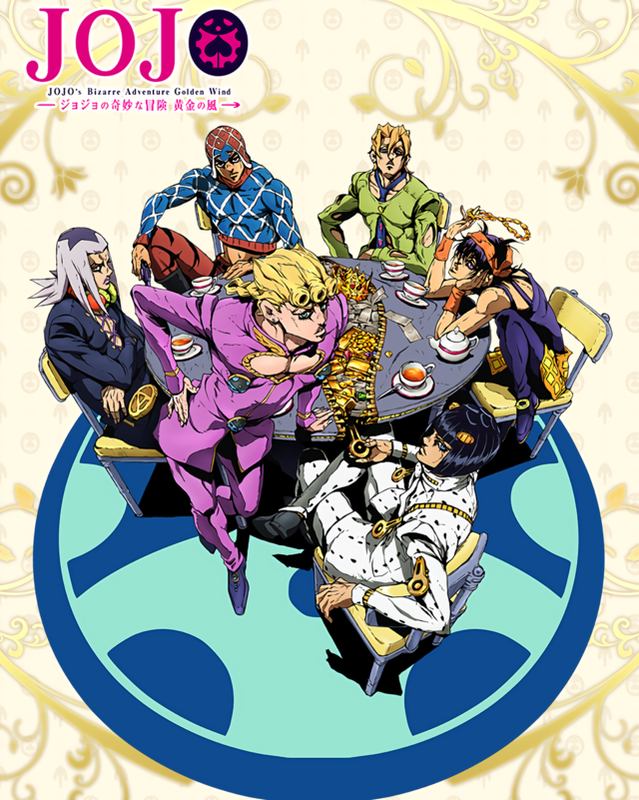 That's why the Golden Wind cocktail, a champagne coctail combined with Elderflower liqueur and gold lustre dust, is the perfect drink to epitomize the show. Not only is it golden (HAH roll credits on the drink), it combines a fruity, sweet punch with the classic flavors of champagne, one of the fanciest of all alcoholic beverages. Garnished with a lemon peel twist, emblamatic of Giorno's magnificent hair, this is truly a cocktail for those looking to class up their New Year's Eve. 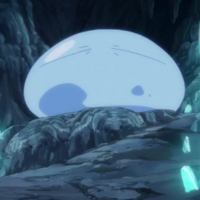 Then there's That Time I Was Reincarnated as a Slime, an isekai anime that many were sure would be a total flop. I distinctly remember talking to some other creators at Crunchyroll Expo who were VERY on the fence about this show because it was YET ANOTHER isekai, and besides the title didn't seem promising. Then everything changed when the show actually aired! It's funny, sweet, and silly without being gauche. So, the Slime cocktail tries to encapsulate that. Outwardly it's...not the NICEST looking drink. A layer of blue "slime" floats over a bright yellow mixture of amaretto and sweet and sour mix (a knock off amaretto sour, essentially), garnished with a gaudy cherry and lemon slice. The drink tastes, however, exceptional. The amaretto sour base is fruity and tart without being too sweet or sour. The spiked "slime" layer provides for a surprising twist- it's fun to drink and melts in your mouth, besides tinging the drink a faint gren shade. If you're looking to shock your friends with something a bit different to ring in the New Year's, this is the drink for you. Whether you're going for classy or flashy this New Year's, whip up some novelty cocktails for your friend and spend those last few hours of 2018 enjoying some of the best anime this year had to offer. Watch the video below to see the full process. 1. Slime Cocktail: Combine boiling water, jello, soda, and vodka. Stir until Jello is dissolved, then place in fridge about 6 hours until firmed up and "slime"-like. Place a few spoonfuls in the bottom of a martini glass. Add amaretto and sweet and sour mix to a shaker with ice. Shake until chilled, and strain out over the "slime" Garnish with cherry and lemon slice. 2. Golden Wind Cocktail: Add St. Germaine's to the bottom of a champagne flute. Tap in some gold luster dust. Stir together, before topping off with Prosecco. Garnish with a twisted lemon peel.